This year, the annual Christmas party was at Kensey Vale Bowling Club. 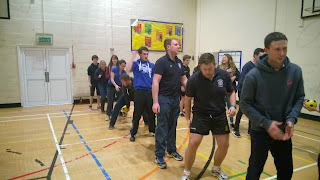 As usual, the games were organised by the advisory committee, many thanks to them! Games included moving polos from person to person using cocktail sticks in the mouth, and a club favourite, Little Ernie! Members bought along food to share afterwards. Continuing with the Christmas festivities, it was time for some carol singing! On Thursday 17th, we started off singing in Kernow House, the care home, at 6pm. Members sung to the residents, who were happy to hear us, and looking forward to Christmas too. 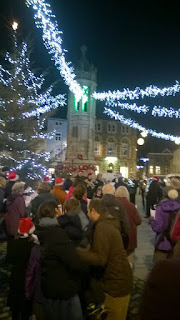 From there, we moved into the town centre, and sung along with Launceston Town Band. From there we went to our presidents house, Tim Bebbington, at Daws House, where we enjoyed mulled apple juice and mince pies. After that, we finished up at Oli Stephens house in Coads Green to enjoy a bring and share supper, and continue with carols. After many months of planning, our 'Snow Ball' was finally here. 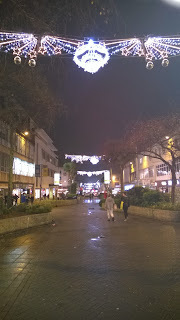 Launceston town hall had been decorated with festive lights and Christmas trees, and the tables had Christmas themes salt and pepper pots and wreathes. 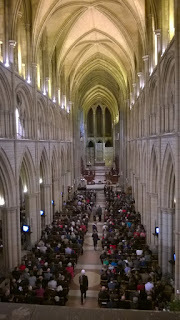 All 180 tickets for the event were sold way before the event and there was even a waiting list. On arrival, guests were given a reception of mulled wine, and mingled before sitting down to a roast meal at 7.30. Turkey and beef were served with three vegetables, carrots, peas and red cabbage. This was followed by dessert, choices were Christmas pudding or lemon rulade. Once the meal was over, it was time for the £5 note raffle. Everyone that wanted to enter wrote their name on a note, and the winner took home half of the takings. 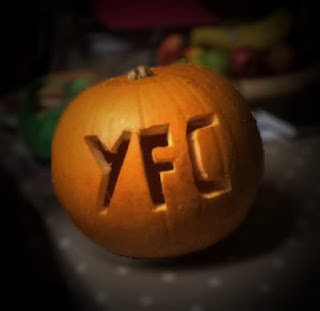 The other half will be going to one of the chosen charities of the year. Well done to the lucky guest that took home £165! The band for the evening, Fleeting Glimpse, commenced after the raffle. They played two stints, with DJ Pasty filling in between and after, both playing a mix of up to date and older tunes to satisfy all tastes. 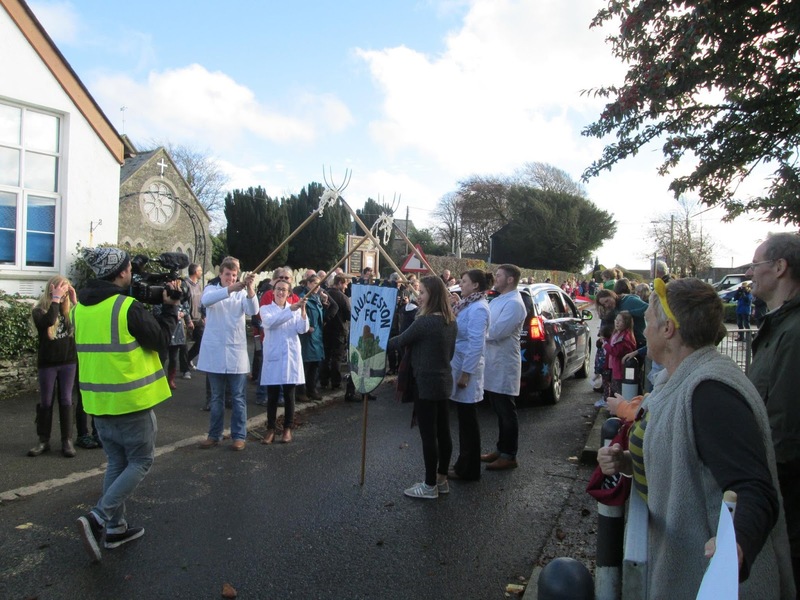 Eight people in two teams from Launceston Young Farmers went down to St Newlyn East village hall on Friday December 4th to take part in the county final of the Just a Minute competition. This is a panel game in which the contestants are challenged to speak for one minute without hesitation, deviation or repetition on any subject that comes up. There were 7 teams competing in total, with 4 in a team, so that totalled 28 rounds. Subjects ranged from 'My favourite toy' to 'The advantages of being female' and 'Fake tans'. Launceston A team got 7th place, and Launceston B team got 4th. 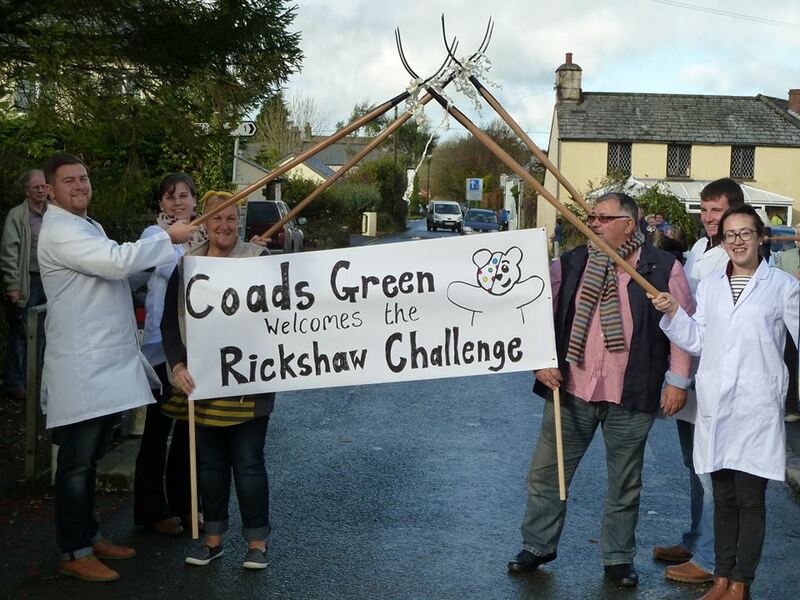 Well done to everyone that took part, and good luck to the winners in the next round. Launceston Young Farmers members gathered in Plymouth to do a bit of late night shopping in time for Christmas! 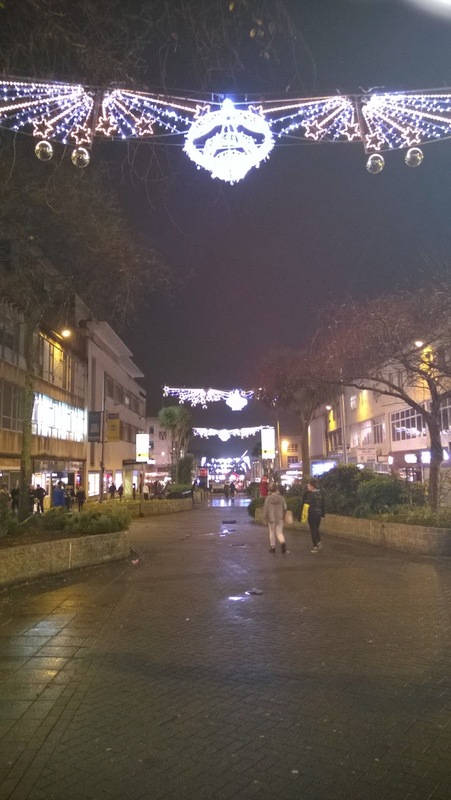 The festive market and Christmas lights helped get the shoppers in the Christmas spirit! After a few hours shopping, we met at the sun dial to show each other what we had bought. Then we went for some fast food and then on to The Cardinals Hatt for a drink and announcements. 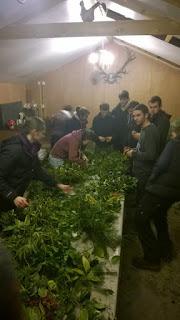 This evening we went to the house of Launceston YFC member, Jack Pannell, to look at his model farm. 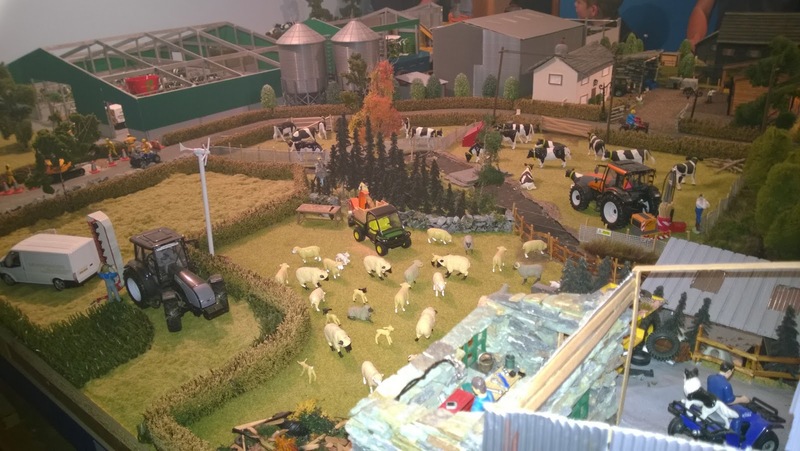 Jack has been collecting farm models in 1:32 scale since he was a child, and over the years he has built up his collection and made a detailed farm. The attention to detail was incredible, a lot of the buildings and scenery had been hand made, and real life objects had been measured to make sure it was in scale! 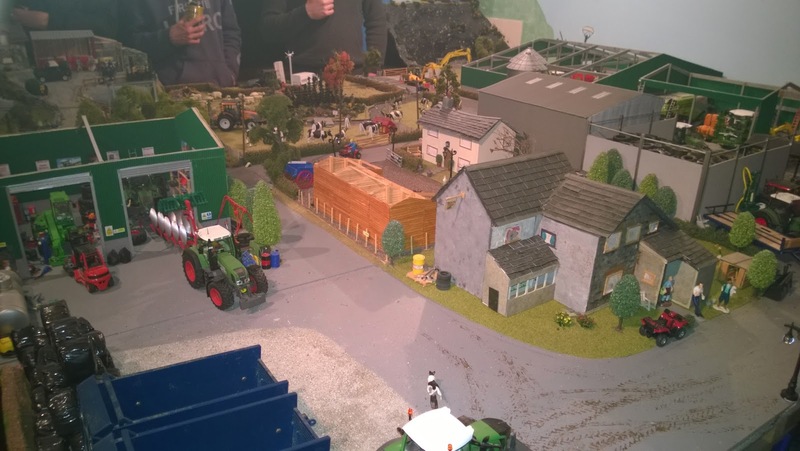 Everyone was amazed at the display and how long it must have taken, Jack even takes it to shows to display and enter competitions. 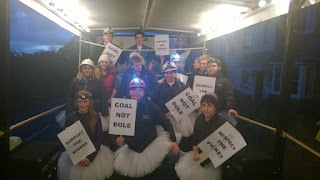 Launceston YFC's club meeting was held on a Friday this week to make use of the ice rink that was in Launceston town square over the weekend. Despite being called an ice rink, there was no ice there, instead a slippery plastic top which had a similar affect. 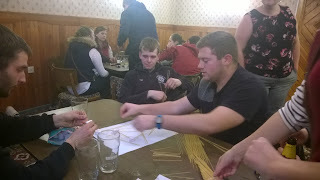 Everyone had a great time despite the poor weather, and retired to the White Hart afterwards. Some other members attended Camelford YFC's Wine and Wisdom, and gained a respectable 6th place from about 22 teams, well done to them. 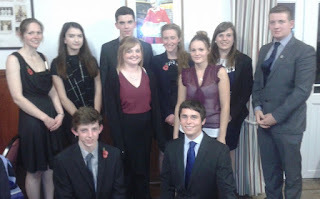 A huge congratulations to our debating team who came 3rd at the county final last night - a special mention must be made to Hannah Gribble who was awarded the cup for best speaker and will now join the county team going forward to represent Cornwall at swa! James Broad, Kelly Cornelius, Amy Trehane, Kate Jenkin and Hannah Gribble. 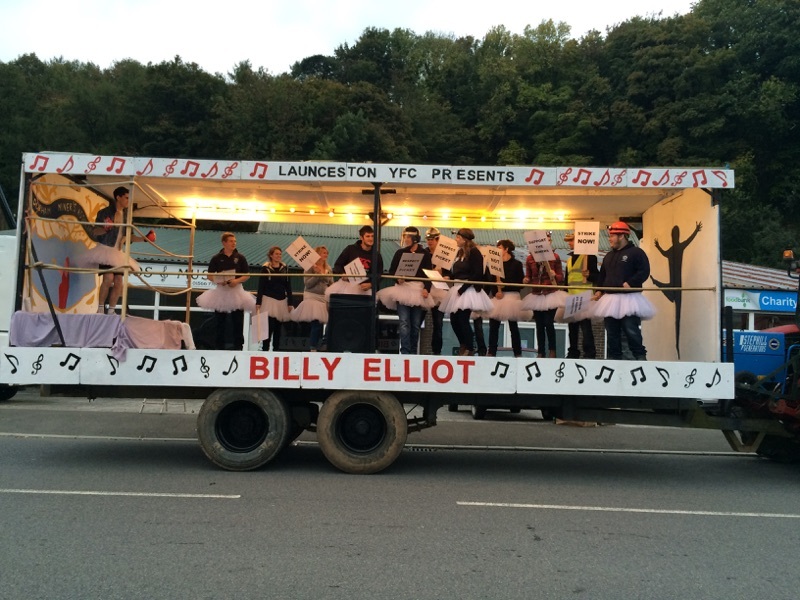 11 members of Launceston YFC braved the gale force winds to go to Hatherleigh carnival. 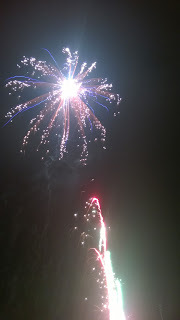 Luckily the rain did hold off for the precession, and there was a good crowd. 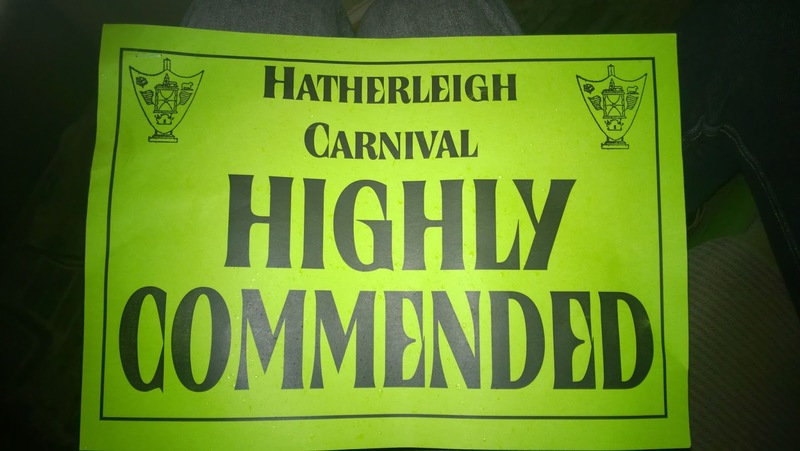 There is always a lot of competition from other clubs at Hatherleigh, so we did well to come away with highly commended. 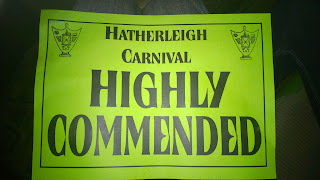 This was to be the last carnival this year, the decision was made not to enter Holsworthy. 48 people attended the new members evening this year, with 13 of which being new members! 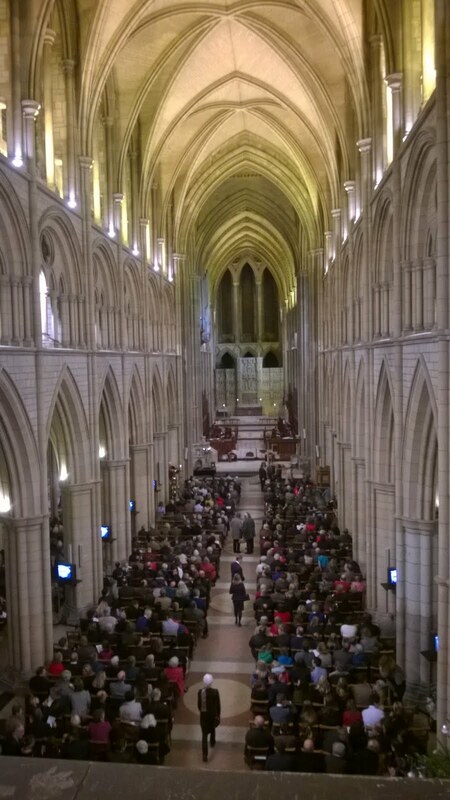 A very well attended evening. We started the evening by sitting in a big circle and we had to introduce the person sitting to our left, including saying what their favourite sandwiches were! 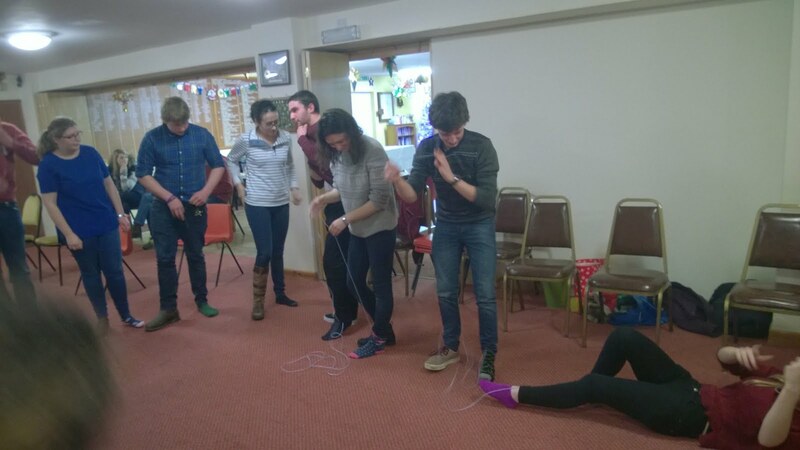 We continued the evening by playing some other games such as finding things in a bag in the quickest time, and ordering ourselves in lines while standing on chairs! It was nice to see so many people and hopefully the new members will continue to come to club. 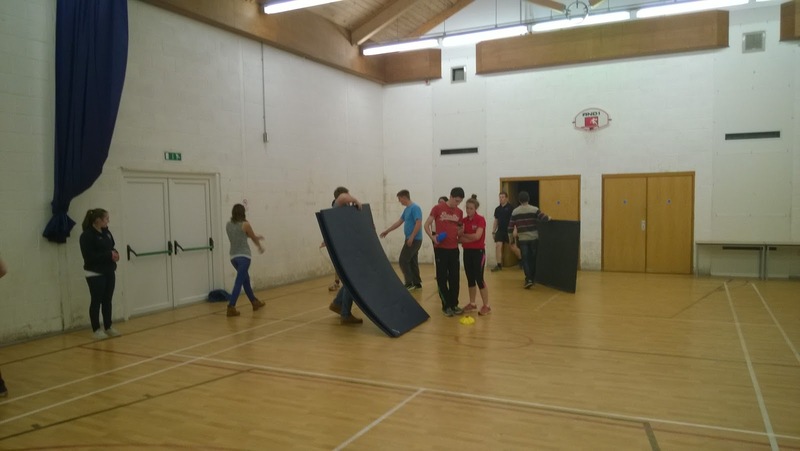 On Wednesday 11th November, a group of us went down to Bodmin College for the first round of indoor sports. 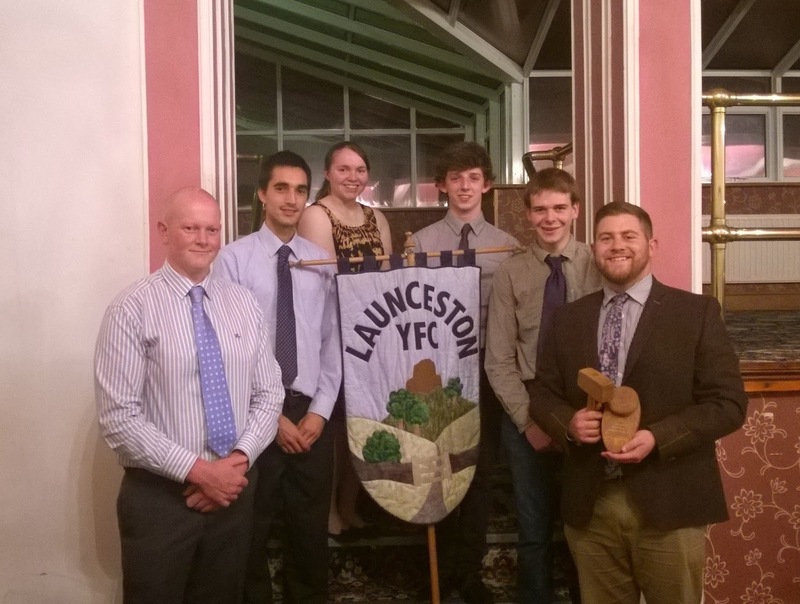 Launceston competed against six other clubs in east Cornwall, with the top two clubs going through to the final. There were two other rounds further down Cornwall. Games included beer can shy, dribbling the basket ball, and skipping amongst others, Unfortunately, we only managed fourth place so we did not get into the final, however we all had a good night. 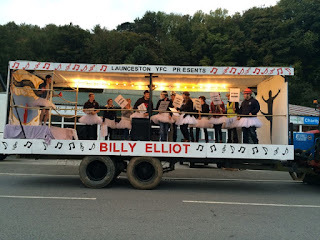 Members of Launceston YFC gathered to join the annual remembrance parade in Launceston. Despite the poor weather, several attended to pay their respects. 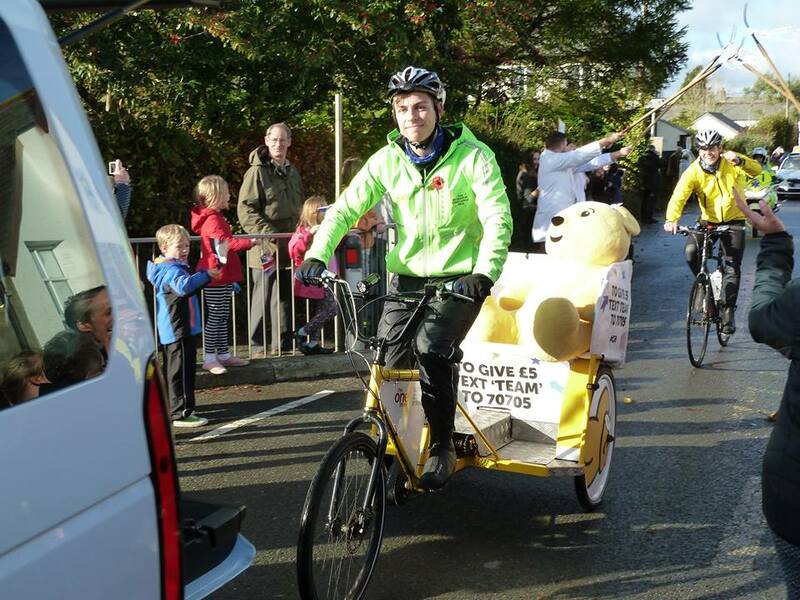 Members of Launceston YFC joined about 200 other supporters in Coads Green to cheer on the Children in Need Rickshaw Challenge. 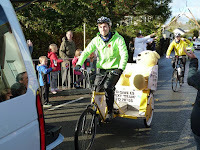 A guard of honour was formed for the rickshaw riders, ex-NFYFC President Matt Baker and all the support crew and riders. All the riders and support crew loved it- many hanging out of the window to take photos. Keep a look out for us on Monday night's episode of the One Show, 7pm on BBC1! To mark bonfire night this year, we went to a display that Callington YFC were holding near Amy Tree. Homemade soup and sausage rolls were on offer along with hot drinks to keep ourselves warm! Just under £315 was raised to go to Callington YFC's charity for the year. Well done to Launceston YFC mixed Tug-of-War team who won today at Liskeard Show!! Fantastic effort both girls and boys, I'm sure there will be aches and pains in the morning, especially for some! 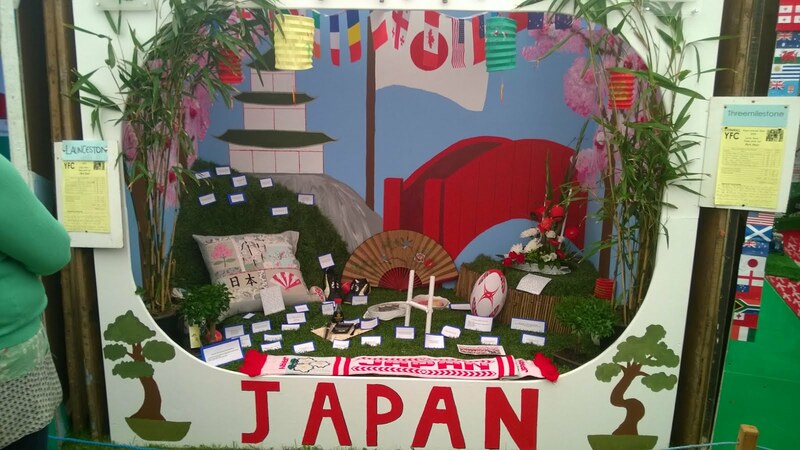 Well done to Launceston YFC on 4th place with their cubicle at the show. 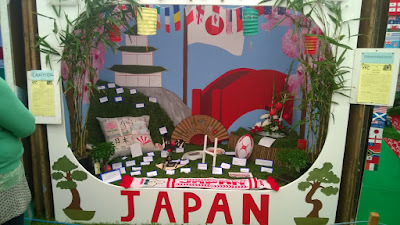 The theme was rugby world cup countries, and they were given Japan. 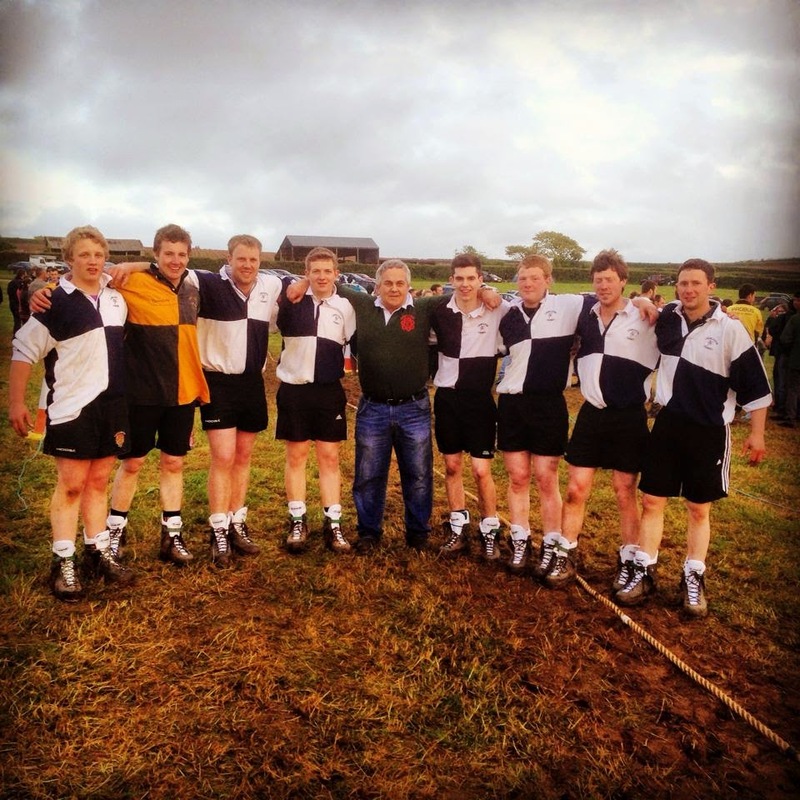 Congratulations to the Launceston YFC Tug of War team that competed at competitions day on 24th May at St Tudy. They won every pull they took part in! 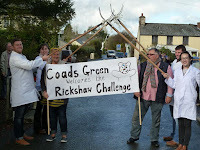 Well done to everyone else that took part in stock judging, cookery and other competitions that were on during the day. With a last minute cancellation and nowhere to go, Stephanie Cornelius organised a night bowling at Trethorne with a buy one get one free on the games members enjoyed a social night bowling. Tonight we had the local PCSO’s in for a talk they told us the problems they face a force from budget cuts and how they would like to be on the streets patrolling more but due to cuts and large areas to cover it’s just not viable. They also told us how they get grief they get from the public if they stop for their lunch in a fast food chain! An interesting evening was had by all. Vote of thanks Sam Northey.